The 2019 Yamaha Young Performing Artists competition named Xinzhu (Zoe) Ma (MM ‘19, piano and chamber music) as one of its winners. Yamaha, the world’s largest instrument manufacturer, conducts this annual competition to recognize young musicians studying in the U.S. who excel in jazz, classical, and contemporary genres. This year, Ma is one of 11 students recognized by the YYPA Program nationwide. Yamaha has distinguished more than 300 other musicians through the competition in the past 30 years. According to the press release, all 2019 YYPA winners have the opportunity to perform in front of thousands at the Music for All Summer Symposium at Ball State University in Muncie, Ind. in June. During the weekend of the performance, the winners will participate in music career professional workshops. Ma said she learned of the YYPA competition through posters on campus and spoke with her professors about applying. Ma submitted four different videos of her work for consideration. John Wittmann, director of artist relations and education at Yamaha Artist Services, wrote in an email interview with The Daily that judges may choose one winner per instrument category. “A panel of Yamaha Performing Artists and celebrity musicians carefully review all of the materials and attempt to select one winner from each instrument category,” Wittmann wrote. Wittmann said musicians apply to the competition by submitting video and recording supplements of their work. They must be nominated by a private or university music professional in order to apply. Ma said this award has given her more confidence as a musician, and while she has performed on many stages, she has never participated in professional workshops. Born in Shenyang, China, Ma began playing piano at age five. 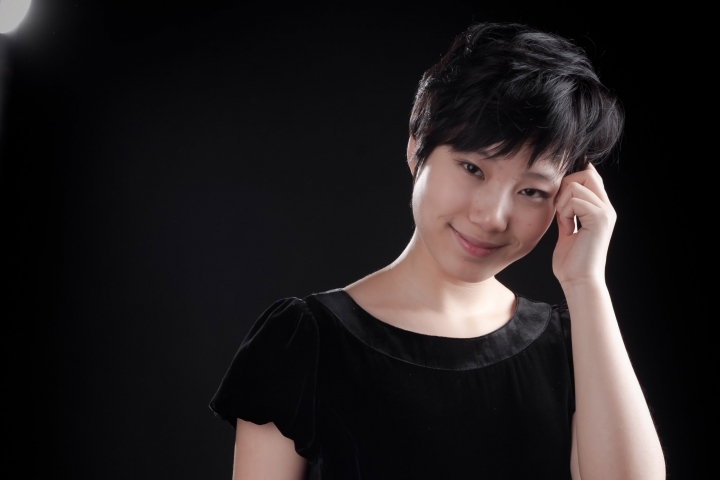 She studied at Shenyang Conservatory of Music for middle and high school and moved to the U.S. to study with music professor Tianshu Wang at Capital University in Columbus, Ohio. According to the press release, Ma received a full merit scholarship from the University of Michigan to study alongside piano professor Arthur Greene. Ma has performed in the U.S., Italy, England, and China, according to the press release. In the past, she has won the Women in Music Concert Competition in Columbus, Ohio and performed in the McConnell Arts Center Chamber Orchestra, the Capitol Symphonic Winds, and the Virtuosi Brunenses Orchestra. Wittmann acknowledged Ma’s exceptional submission, which stood out among other pianists. “Xinzhu’s audition materials were outstanding and she captured the judge’s attention which resulted in her being recognized as above the other gifted applicants in her category,” Wittman wrote. Greene said Ma possesses a unique force and ability to bring her music to life, a quality many classical musicians lack. Greene said classical musicians often copy known pianists, which often results in the same sounds. Greene said Ma’s individuality as a musician breaks this norm. Wittmann said the YYPA Program strives to make a long-term investment in each musician and create an extended network and community for members.